The Seattle Symphony has received two nominations in the classical category for the 2017 Grammy Awards. The nominations, both for the third installment in the all-Dutilleux series on the Seattle Symphony Media label, are Best Engineered Album and Best Surround Sound Album in the classical category. 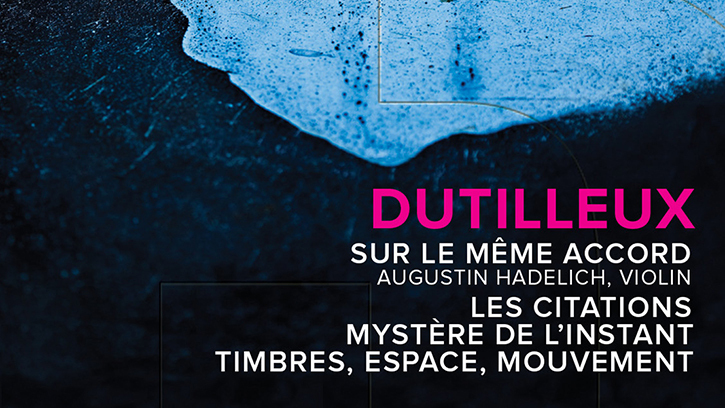 Part of a three-disc, multi-year recording project, Ludovic Morlot and the Seattle Symphony released the third volume of orchestral works of Henri Dutilleux on Seattle Symphony Media on August 12, 2016. The recording includes studio recordings of Sur le même accord featuring Grammy Award-winning violinist Augustin Hadelich, Les citations, Mystère de l’instant, and live performance of Timbres, espace, mouvement. CDs may be purchased at Symphonica, The Symphony Store, at Benaroya Hall. Digital downloads and CDs are available through all major online music retailers and streaming services including iTunes, Amazon, Apple Music, Spotify, Primephonic, Qobuz, Tidal and more using the link below.